MENTION the Ukraine and people automatically think of political strife and the conflict that has raged on since 2014. The assumption is that life is hard and dangerous and events like football do not take place. But football has certainly continued and although the average crowd for a Ukrainian Prem’er-Liha game has dropped to 4,200 (from 10,930 in 2014), the Ukrainian public still turns out to see its favourite teams, even in close proximity to the militarised zone. Game of the People met with representatives of the Ukrainian Premier League at Soccerex to find out the state of play. 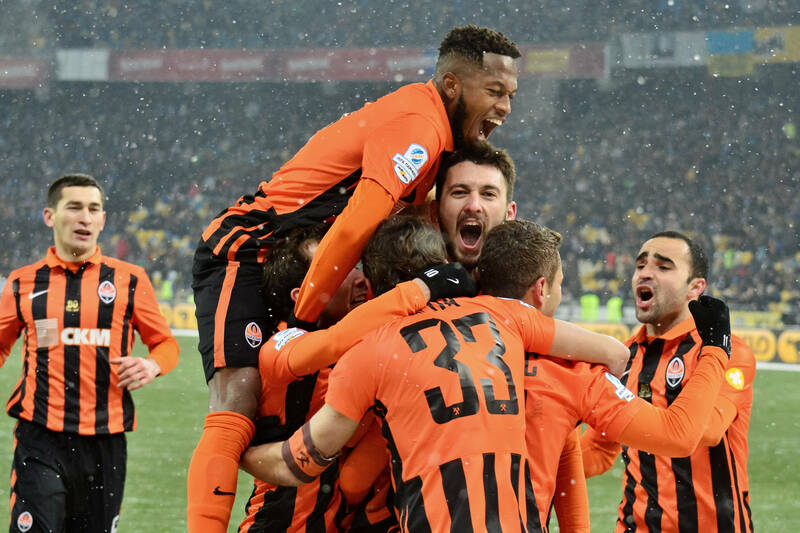 Ukraine is ranked number nine in UEFA’s co-efficients and in the recent Champions League draw, Shakhtar Donetsk were named among the top seeds. Indeed Shakhtar and rivals Dinamo Kyiv both feature among the top 30 clubs in Europe in the European Club Association’s listings. Ukraine is not only a credible football nation, but also has no small amount of potential – this is, after all, the country that produced the likes of Oleg Blokhin and Andrei Shevcenko. That’s a tough task when your country is perceived to be something of a war zone, and while the relocation of the likes of hardy European campaigners Shakhtar (to Kharkiv) suggests life is far from “business as usual”, there is a resolve to “keep calm and carry on”. Whether that’s good enough to take Ukraine to Russia for the 2018 World Cup remains to be seen. Defeat in Iceland on September 5 has made qualification tricky and with two games to go, they are two points off the leaders. The big crunch game will be on October 9 when they face Croatia in Kiev. Meanwhile, the Ukraine is also looking beyond its borders to learn from other leagues. “We have been holding workshops to improve our league and we hope to benefit from Poland’s experience with regards to commercialisation and leveraging broadcasting rights. The country will be in the football spotlight again in May when Kiev will host the UEFA Champions League final. The decision to appoint Kiev for the showpiece was a vote of confidence in the country and will provide an opportunity to show the rest of the world that Ukraine is open for business.